When Fleetwood Mac was touring [in support of 2003’s “Say You Will”], Christine McVie had left, having burned all her bridges, selling her house in L.A. and moving to England. We divided material down the middle. I had a great time because it allowed me to be a guy on stage. In retrospect, Stevie wasn’t as comfortable with that divide. When it came to contemplating working next year… we [thought] bringing Sheryl Crow would be an intiguing idea. We put out the feelers and that’s about as far as it got. Last spring, Sheryl took it upon herself to tell the world she was joining Fleetwood Mac. It was in itself inappropriate – you sit down with a band and announce it. It bothered Stevie a great deal and Mick as well. I thought it was off the wall. There were some harsh words, and she was given her marching orders – not that she’d been in the band in the first place. Lindsey went on to say that Fleetwood Mac is contemplating doing a “long term thing” beginning in early 2009, which included making a new record and touring. He wasn’t certain that Crow understood that a commitment of 3-4 years was what he had in mind. “Probably in January, the band will start rehearsing, then see what happens,” he said. No guarantees, but it sounds like the Mac is back. “Gift of Screws” was conceived way back in 1995, and shelved over the years due to Buckingham’s many (mainly Fleetwood Mac) commitments (he called them “interventions on solo work”). Several cuts from the oft-bootlegged disk, including “Peacekeeper” and “Murrow In His Grave,” ended up on other records. The new CD has only one surviving song from the original “Gift of Screws” – the title track – along with bits and pieces of a few others. 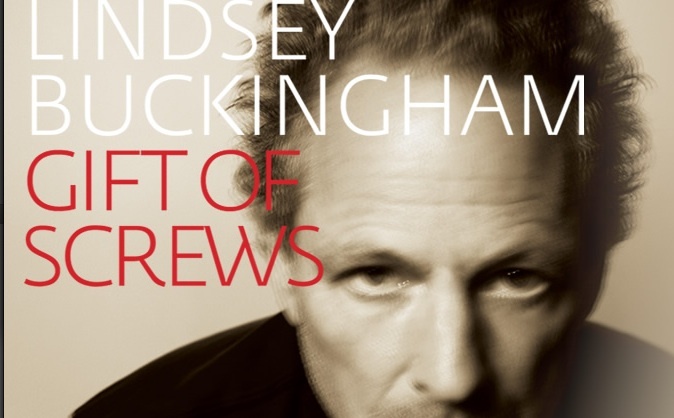 Lindsey Buckingham’s tour to support “Gift of Screws” begins September 7 in Saratoga, California; he’s in Lebanon, New Hampshire October 12, and Northampton, Massachusetts on October 14. There are also shows in Boston and Ridgefield, Connecticut. The tour ends October 19 in New York City.